At Brodetsky we recognise the importance of the role of the school in the community in creating a partnership between children, the parents and the staff. We provide a nurturing environment for every pupil. We pride ourselves on having a caring and dedicated team of teachers and staff, and work collaboratively with our parent body and governors to ensure that every child feels valued and achieves their potential. 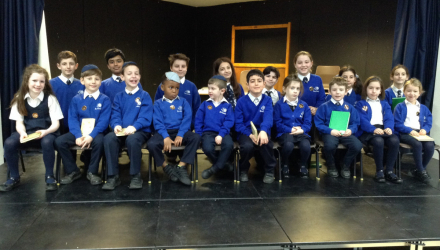 We aim to deliver an outstanding education across both the National Curriculum and our Jewish Studies Curriculum in order to create a generation who will be knowledgeable and committed to their faith and values and will become outstanding citizens within the Jewish and wider community. We offer a superb educational environment with facilities that include extensive secure grounds, we also have a fantastic forest school area, an allotment, brand new FA regulation playing fields, and ample playing space. All in all I feel Brodetsky is a fantastic place for children to enjoy learning!